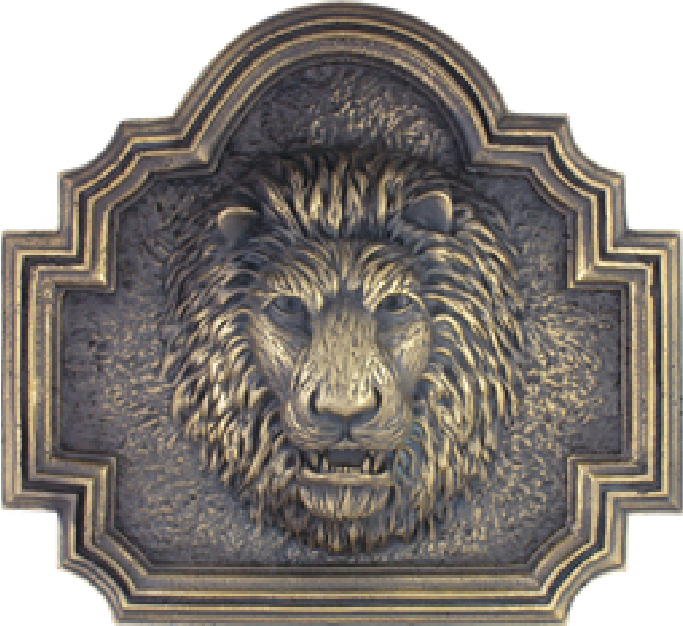 Above is a bronze-coated 3D carved High-Density-Urethane wall plaque featuring a half-relief sculpture of the face and head of an African lion. This plaque has low polish on bronze-coated art, text and central background; and dark patina is used for background on this plaque. These plaques are polished by hand to bring out the high-lites. This plaque is 30 inches wide, but can be purchased in any size from 16 inches to 60 inches in diameter. It can also be modified to accept other 3D sculptures of people, animals, birds, etc.